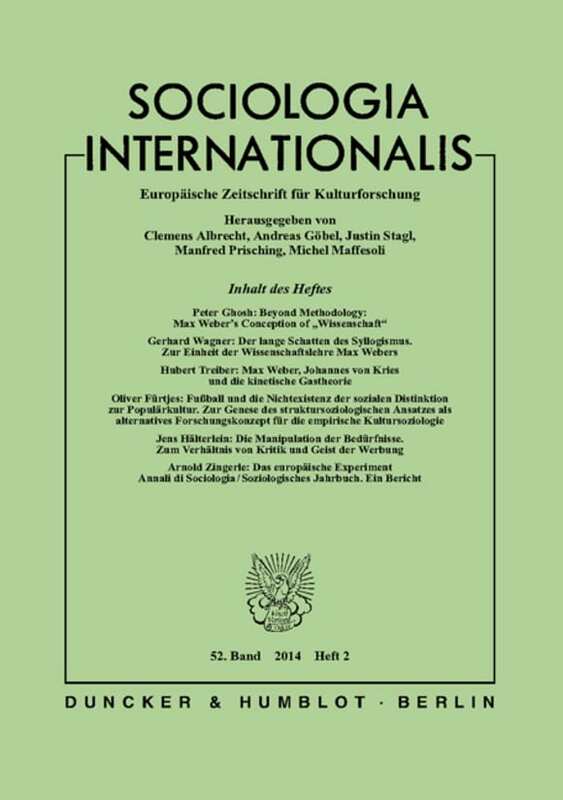 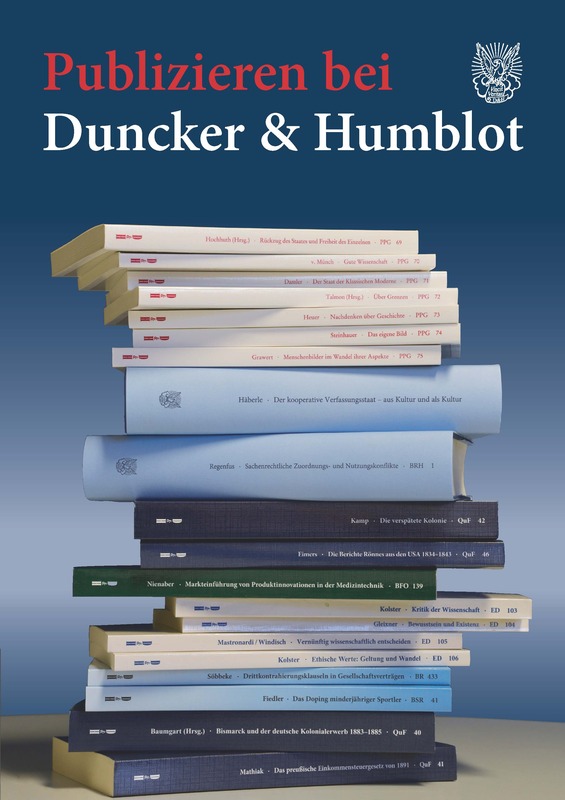 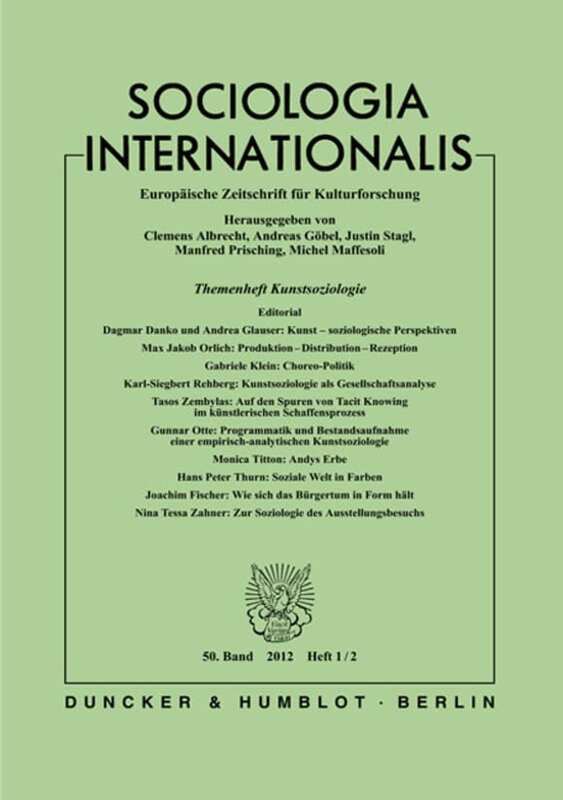 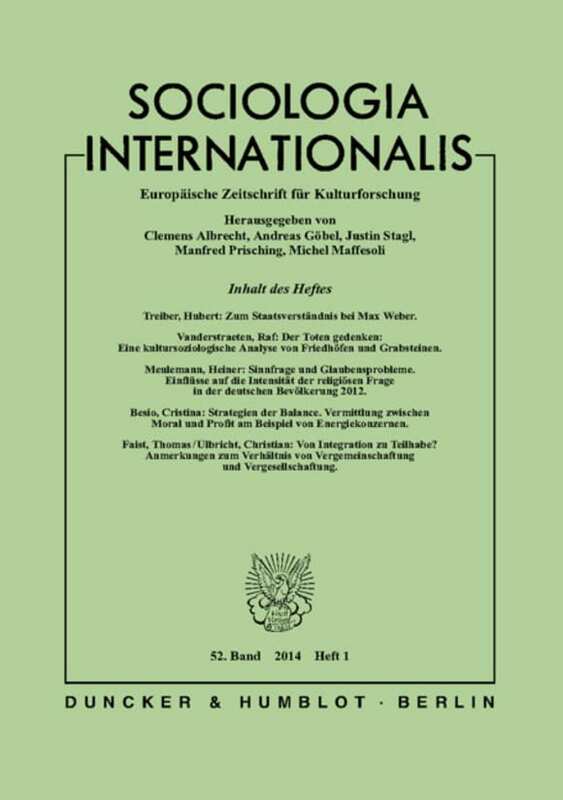 Edited by Clemens Albrecht, Andreas Göbel, Justin Stagl, Manfred Prisching, Michel Maffesoli. 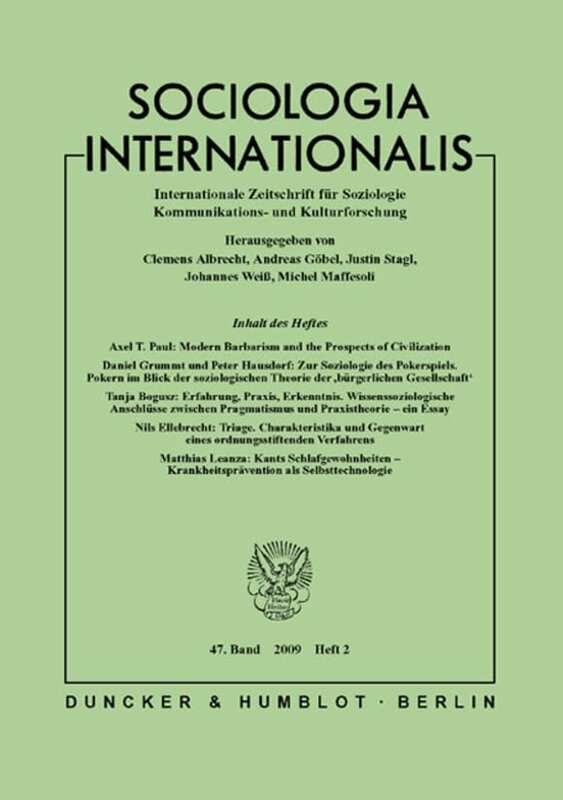 Redaktion: Clemens Albrecht. 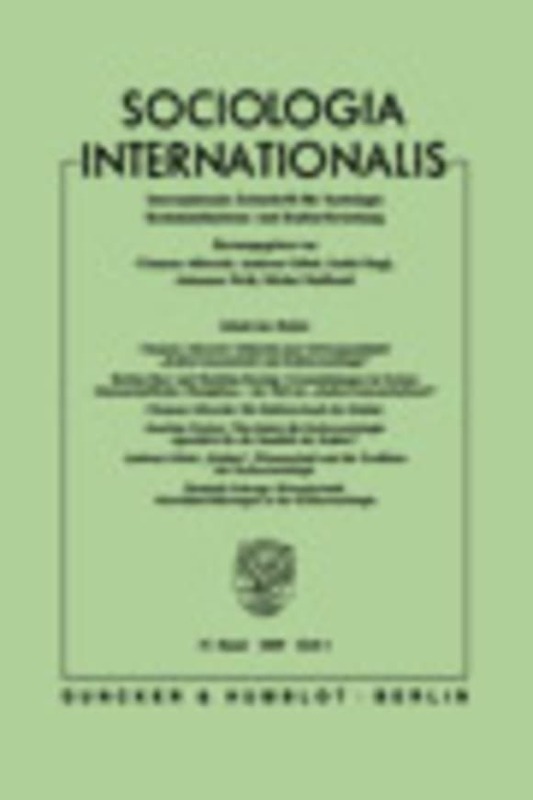 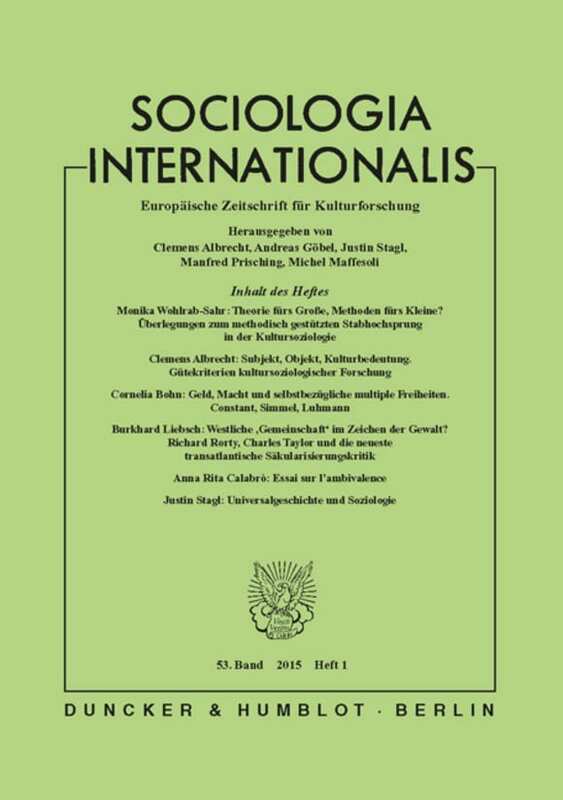 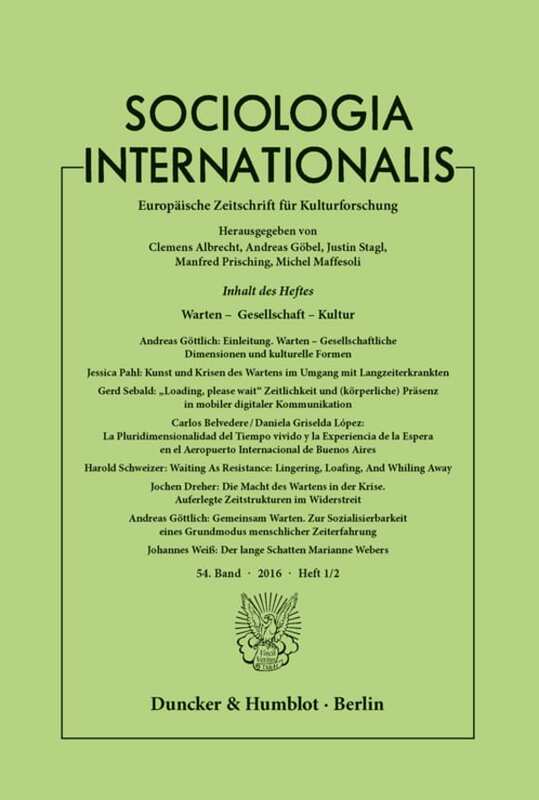 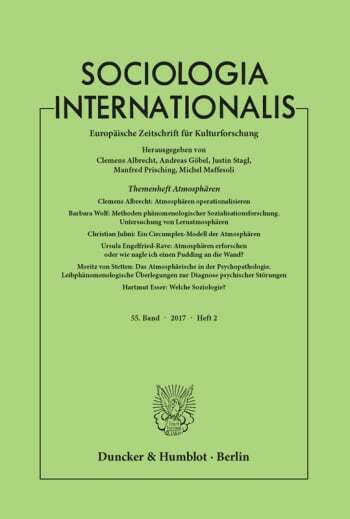 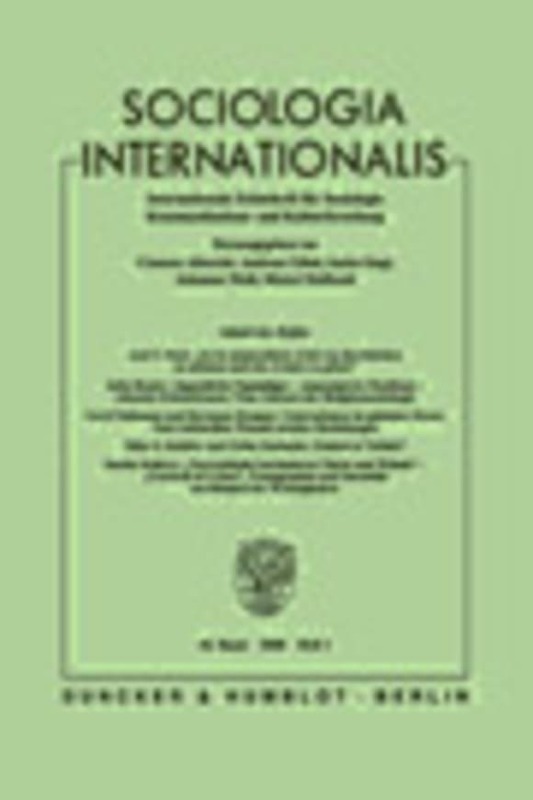 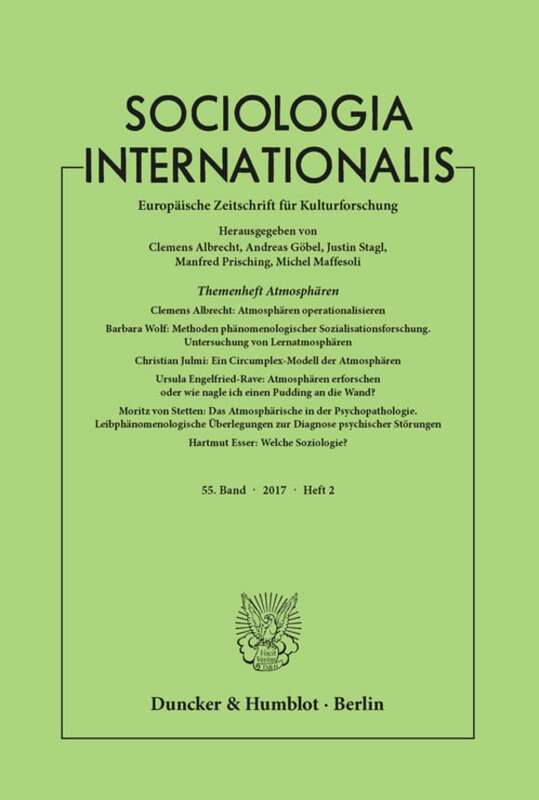 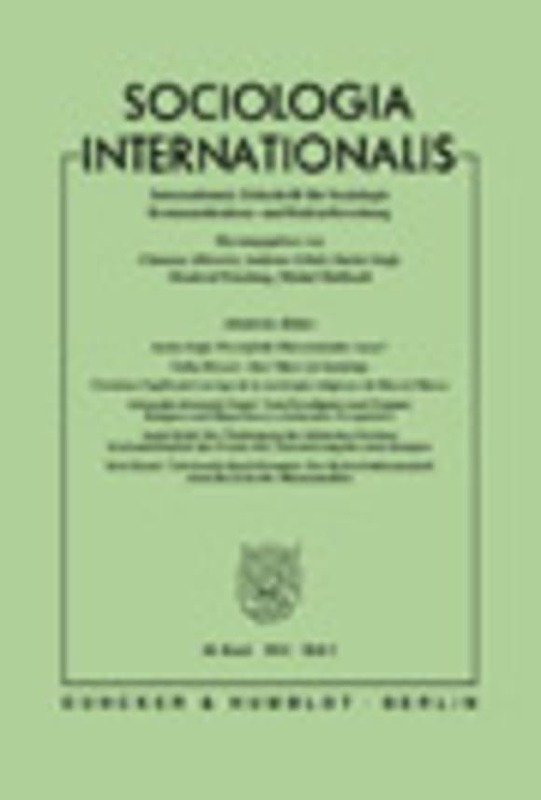 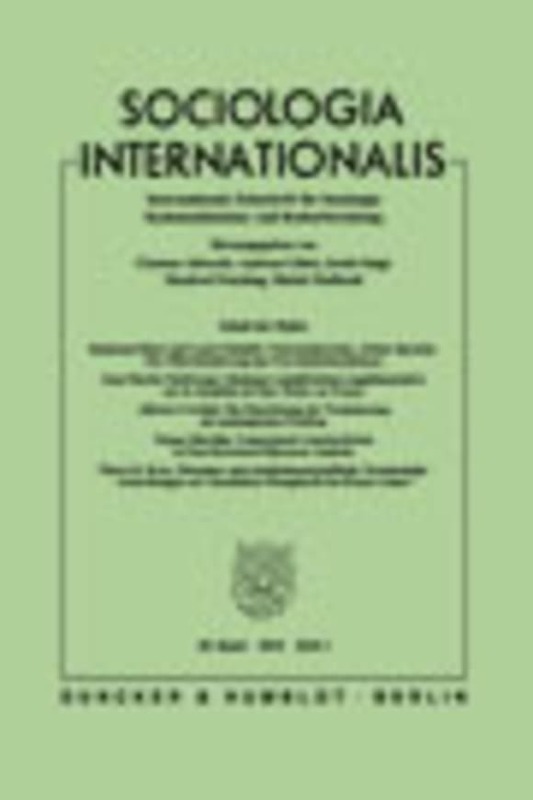 Sociologia Internationalis has given itself a new title for its 50th anniversary: »European Journal for Cultural Research«. 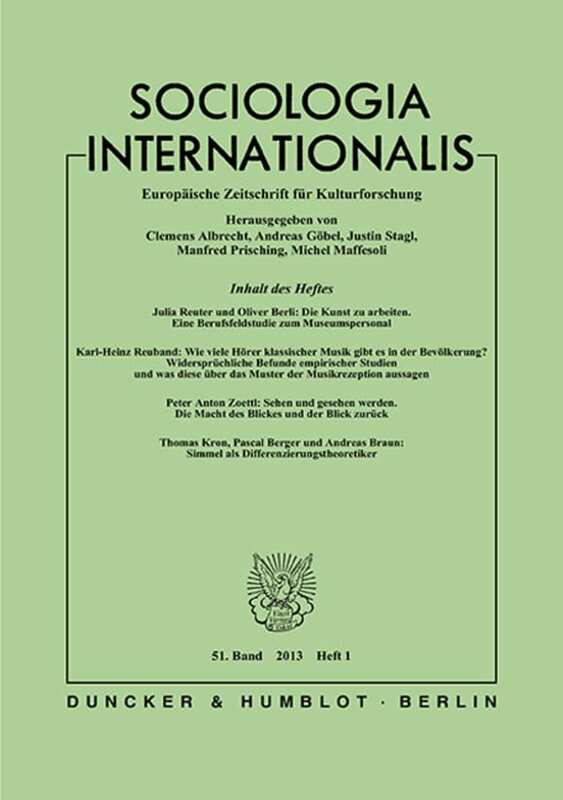 It publishes articles in German, English, French and Spanish. 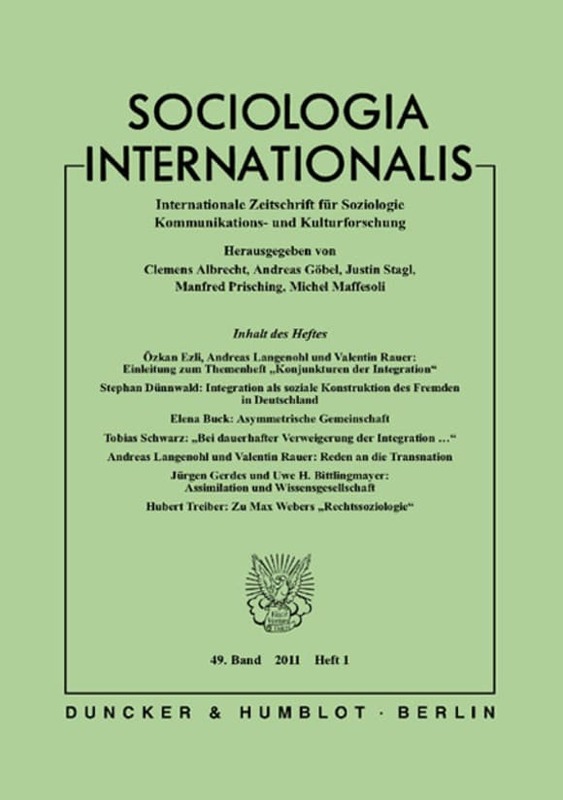 This concept is based on the approach that sociology is a discipline characterized by social traditions, including national traditions and conditions. 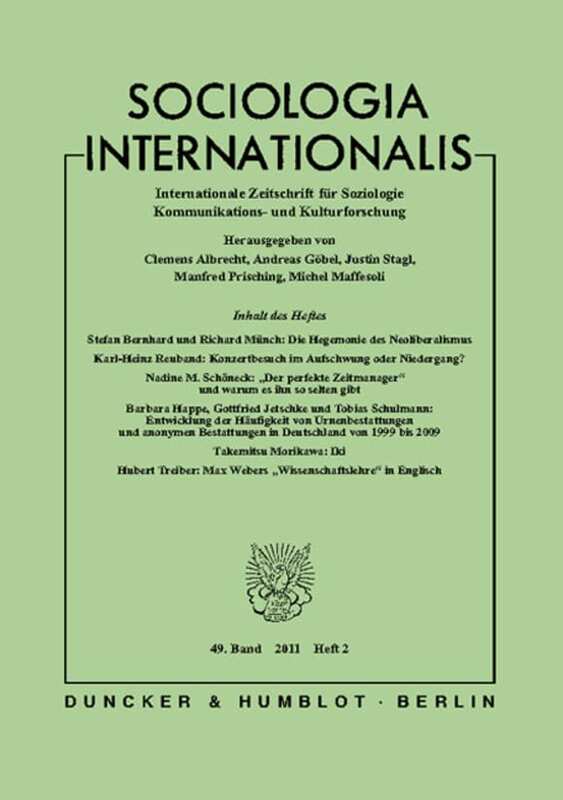 Not least, its wealth of theories, insights, instruments and perspectives is due to the conceptual work in the various languages. 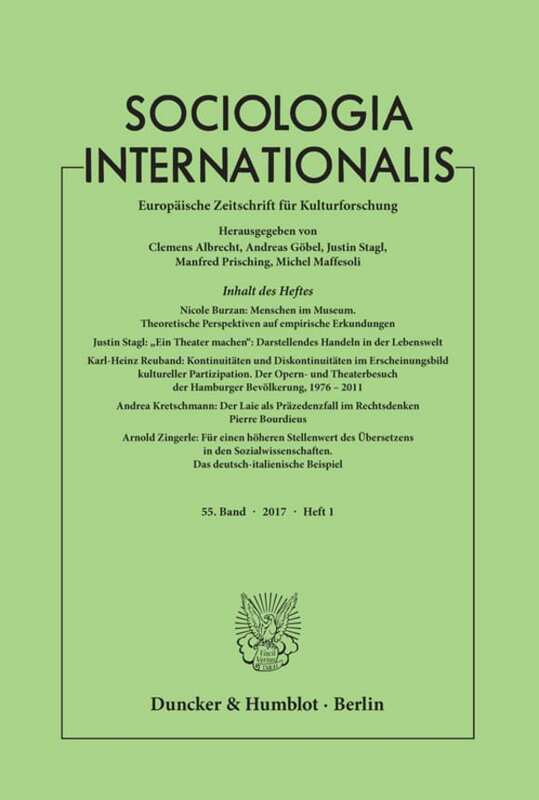 Internationality in science should maintain and communicate this diversity but not melt it down into one language and tradition of thought. 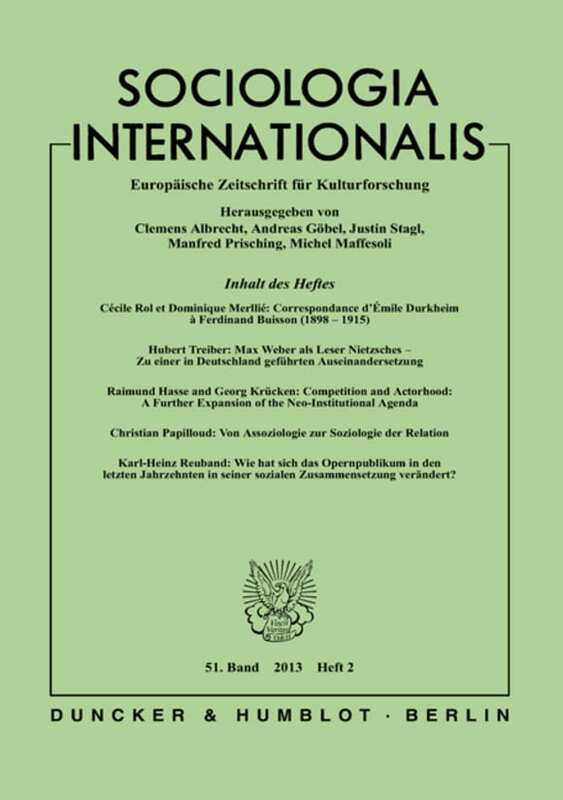 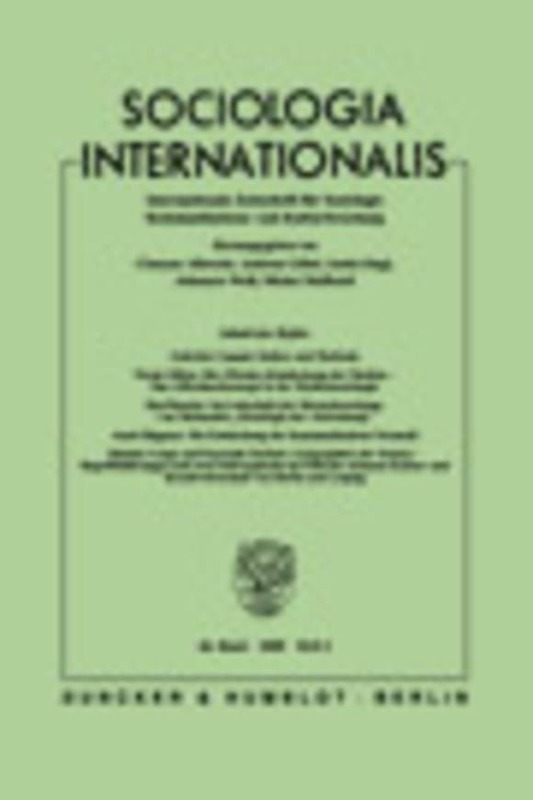 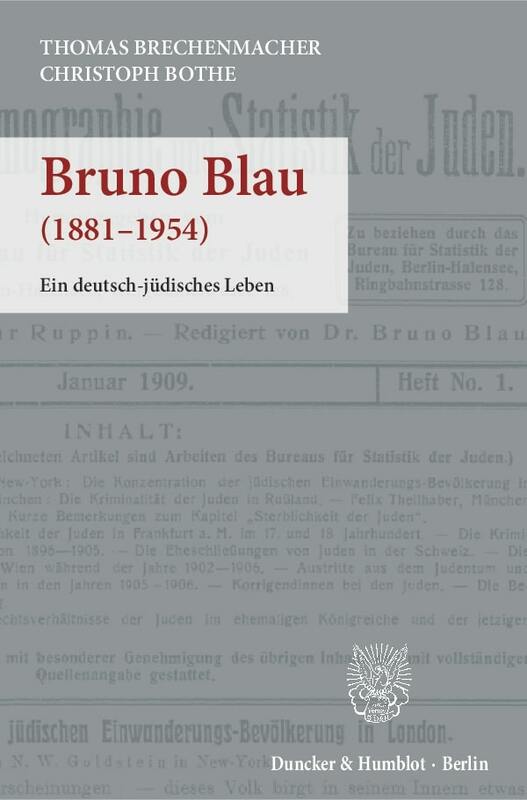 In this regard, the journal stands for a European path of inter-nationality in the mutual discourse of science.